Cory Walter is a Staff Biologist for Mote Marine Laboratory Tropical Fields Station on Summerland Key, FL. 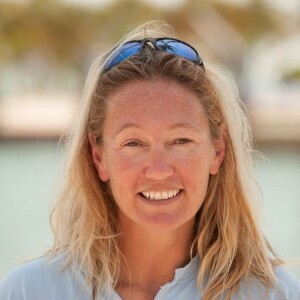 She has been with Mote since 2004 with experience in Coral Reef Ecosystem Research and Monitoring as well as getting the community involved with reporting on this important ecosystem. Cory is program coordinator for BleachWatch and the Marine Ecosystem Event Response and Assessment (MEERA), community monitoring projects, which are funded by the Florida Keys National Marine Sanctuary, NOAA s Coral Reef Conservation Program and Mote s Protect Our Reef license plate. Other projects include but not limited to is Red Tide Research, Coral Restoration, and Visitor Support for adjunct and visiting researchers. Eakin CM, Morgan JA, Heron SF, Smith TB, Liu G, et al. (2010) Caribbean Corals in Crisis: Record Thermal Stress, Bleaching, and Mortality in 2005. PLoS ONE 5(11): e13969.